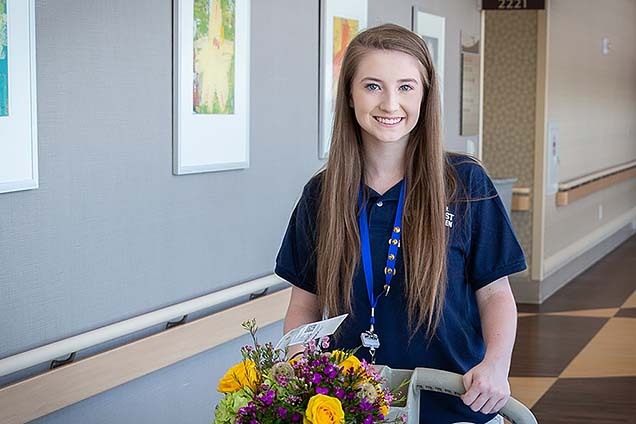 The desire to help drew Lyndsay to Methodist Hospital’s Volunteen program, and she has worked a weekly volunteer shift at the Methodist Women’s Hospital campus since the end of eighth grade. 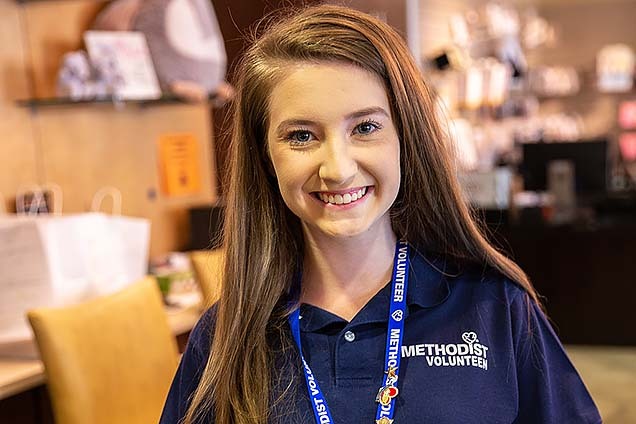 Lyndsay, who will be a senior at Millard West High School this fall, has contributed nearly 300 hours as a Volunteen. 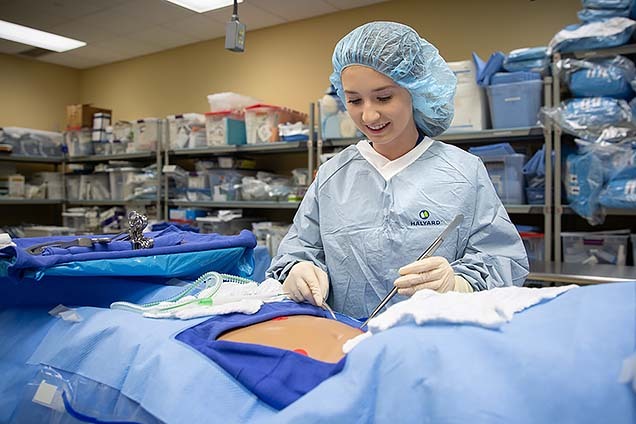 Lyndsay is certain she wants a career in healthcare. But which field? 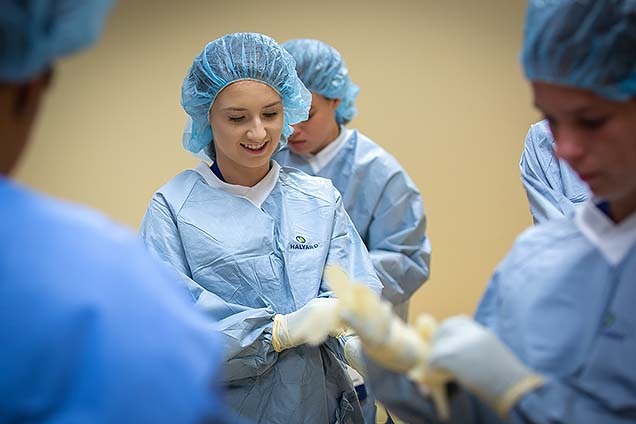 For help with her decision, Lyndsay is at Nebraska Methodist College this week, taking part in one of NMC’s Summer High School Healthcare Career Camps. Lyndsay and her family have spent time going on college visits. 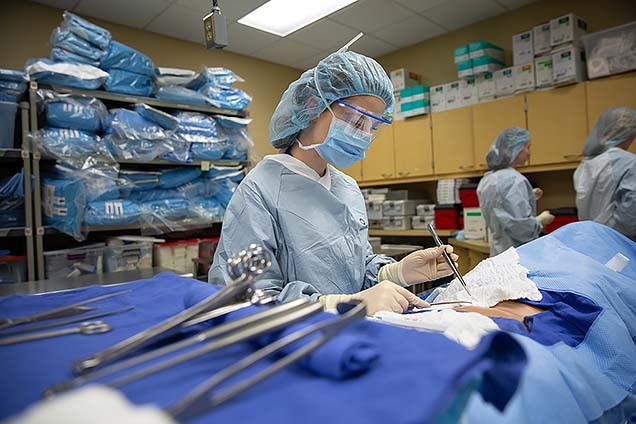 The NMC Healthcare Career Camp allows high schoolers to take a firsthand look at what nurses, surgical technologists, phlebotomists, sonographers, respiratory therapists, physical therapists and others do. 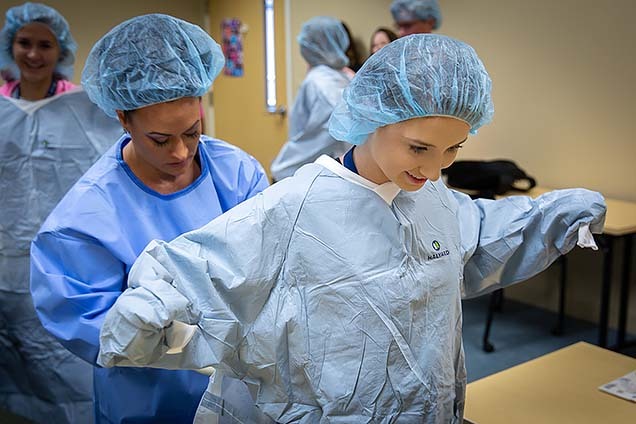 Students get behind-the-scenes hospital tours and exposure to college professors and course materials, with opportunities to test their skills on state-of-the-art simulators. 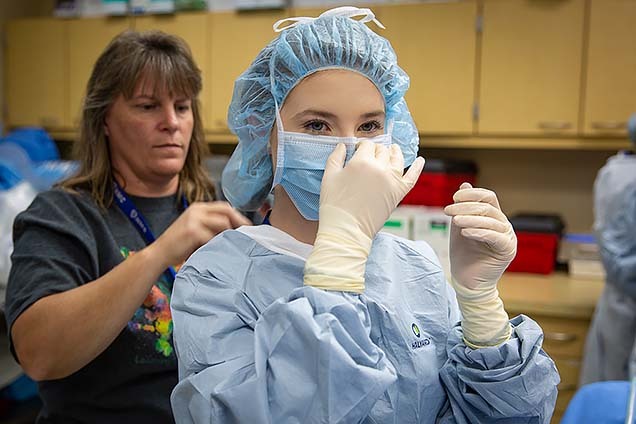 The photos show Lyndsay participating in the camp's surgical technology activities, first in a classroom and then in the surgical technology lab at NMC. Midway through this week’s camp, Lyndsay shared a few thoughts about her experience.